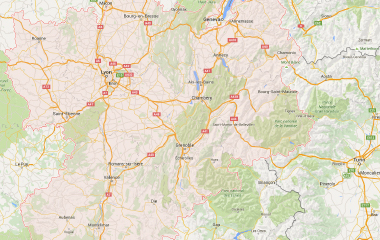 Explore the Drome des Collines and the plain of Valence going camping there! 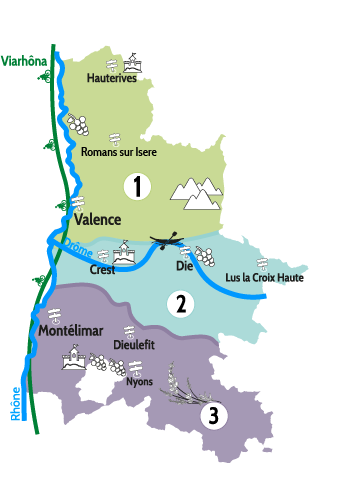 In the North of Drome, on the right bank of the river Rhone, stretches a hilly territory covered by vineyards that forms the famous Hermitage and Tain Hermitage country. Among these greens landscapes that are just perfect for hiking, the campsites in the Drome des Collines await you. This land of sun and delicacy will provide great holidays for all the family. Do not miss to visit the Postman Cheval’s ideal Palace, surprising naive architecture dreamt and created by a simple postman who devoted his life to building it. At the boundary of the hills, on the left bank of the river Rhone, stands Valence, capital of the Drome department, also called “the door to the South of France”. Visit this historic beautiful city, crossed by 17km of channels thanks to a booking at a riverside campsite with swimming-pool in Valence. Le Soleil Fruité has been raised up in an orchard with apricot and peach trees, therefore I decided to name it like this. I’ve fitted out my campsite with the preservation of the maximum of the fruit trees, so that during your stay you can harvest fresh season fruit and taste from it.